The insurance is in fact, as President Juncker clearly presents, a contribution to national unemployment benefit costs made by the EU Budget’s redistribution mechanism to mitigate asymmetric shocks and by the reform reform compensation mechanism (presented in the tabled regulation as an “incentive” to reform). I’m in favour of the latter, having suggested it months before it was proposed by the European Commission. The asymmetric shock absorber also makes sense in a Europe prone to asymmetric shock. As previously explored on this blog and a post to the RSA, asymmetries in Europe prevail as long as interindustry integration, that is Member-States’ propensity to produce certain goods and services and not others, prevails. Asymmetric shocks (say, in Germany where firms are excessively concentrated in production goods exported to extra-EU markets) resulting from exogenous conditions (say, a slowdown in China’s economy, German firms’ most significant customer) shall happen in a Union where regional productivity asymmetries uphold Member-States decision to produce more substantially some but not other varieties of goods. Firms preferences evolve considering, amongst other factors, a Member-State’s comparative advantage in terms of capital (physical, human) and technology, institutional framework and financing conditions, and the economic cycle. Most Member-States have eschewed both mechanisms when joining the Single Market and later the Euro, prompting Member-States to crystalise production preferences. Consider Portugal and the Netherlands, two economies of similar size. 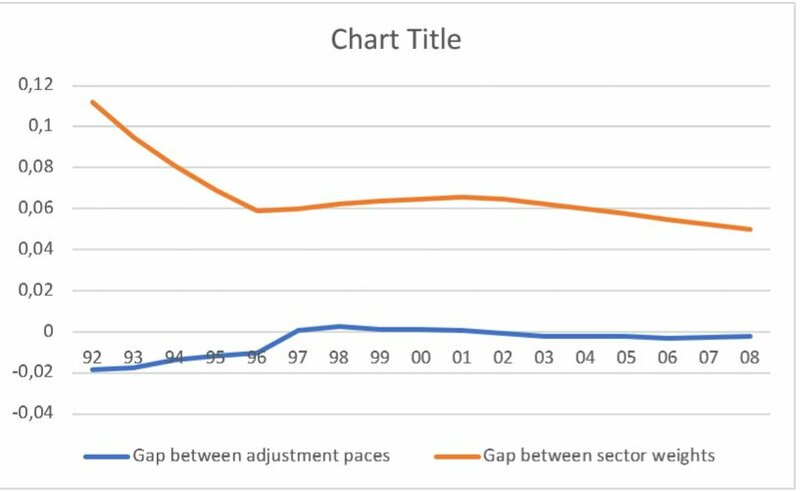 The chart below plots two 5-year moving averages of the weight of the agriculture sector in employment: the gap between paces of change and the gap between the weight of the agricultural sector in each country. Both stabilise significantly after the introduction of the ERM II in 1997. 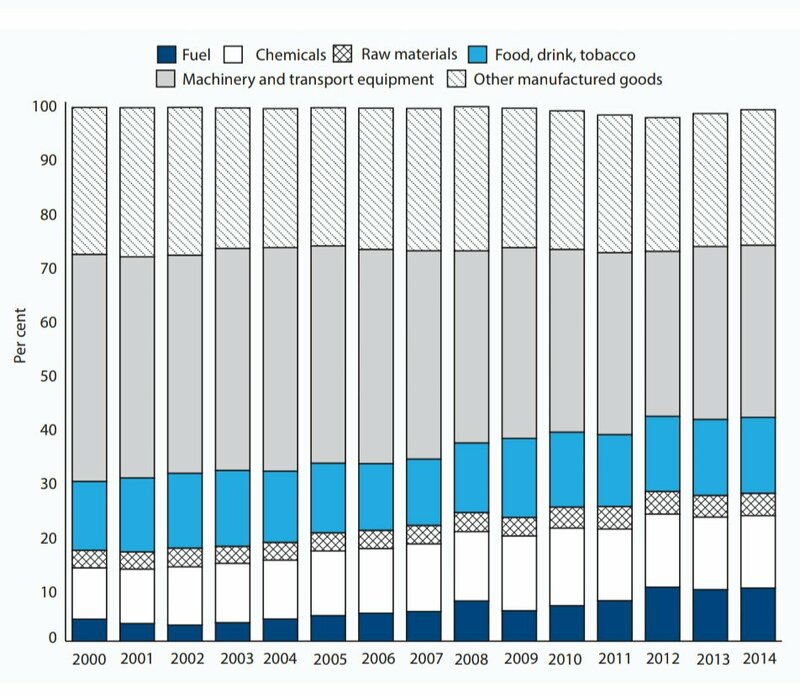 The following chart plots the rate of structural change (that is, the average of yearly changes of the 5-year average of employment weights in Agriculture, Industry and Services) in both Member-States and Denmark between 1992 and 2008. Notice the significant slowdown in both Member-States in 1997 and more significantly in Portugal after the introduction of the Euro in 2002. 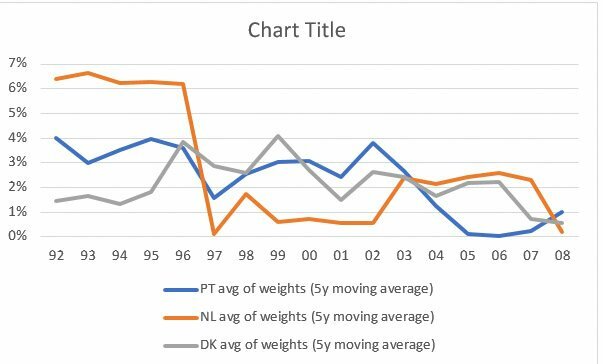 Conversely, the pace of structural change in Denmark does not seem significantly affected by the introduction of either ERM or Euro. The European Budget’s objectives of Cohesion and Convergence are achieved through investments in capital and technology precisely to diversify production in those Member-States where lower value-added is produced. 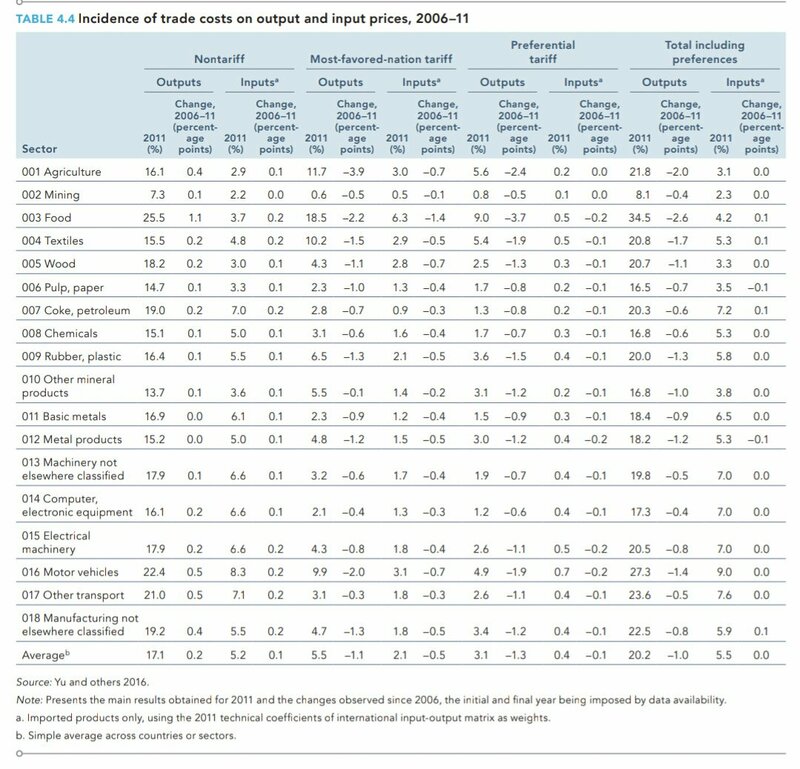 As low value-added sectors typically include less foreign inputs, firms operating in these sectors are less prone to benefit from competitiveness gains of foreign suppliers when their currency appreciates. Member-States where low value-added activities prevailed were thus disproportionately affected by the introduction of the Single Currency. Amongst the adjustment mechanisms necessary to improve lower value-added economies is the labour market when workers in low value-added activities migrate to those Member-States where their work is highly remunerated. Disparities between relative wages happen as workers in high value-added economies increase human capital to access high value-added, high paying jobs that are more plentiful than elsewhere. Hence an unemployment insurance only benefits the structure of the European Union if it enables workers to relocate across Member-States, adjusting wages in both economies and stimulating convergence. This is furthermore justified by the local nature of wages. Next Article Does debt lead to European prosperity?